Now that The Moriches Community Center has a physical home, we are offering many new programs and classes. 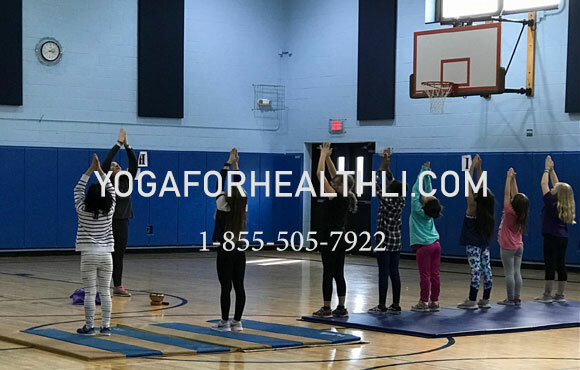 And, thanks to groups like Yoga for Health, we have added several health and wellness classes at The Moriches Bay Recreation Center. Each class supports a friendly environment and all are welcome to join. Gain balance, strength, and awareness through programs like kids yoga, all levels yoga, and body and mind recovery sessions for those new to recovery from addiction. Are you new to recovery from addiction? Come to Moriches Community Center on the first & third Tuesday evening of each month to get yourself back on track. Each week we will offer different services such as beginner yoga, meditation, mindfulness and more! Kids’ Yoga on select Thursdays where kids can enjoy a fun, upbeat, free yoga session. Check dates for specific grades and locations. All levels yoga sessions on the first Monday of each month from 5:15-6:15pm at the Moriches Community Center starting on April 1st!